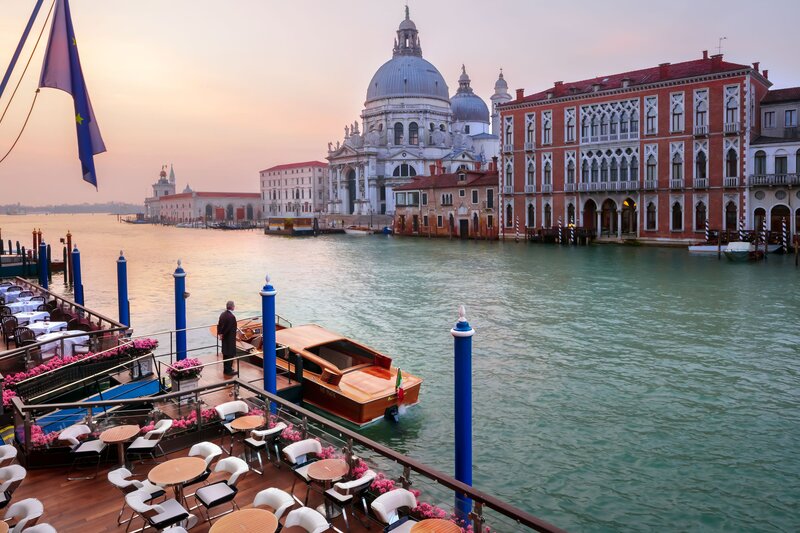 Overlooking the Grand Canal in the heart of Venice, The Gritti Palace boasts one of the most enthralling views of the lagoon city - from the island of San Giorgio Maggiore past landmarks Punta della Dogana and Santa Maria della Salute Basilica to the Peggy Guggenheim Collection. Dating to 1475, this noble palace and luxury hotel is a place of exceptional art and elegance that has retained its reassuringly intimate and familiar feel of a private residence. 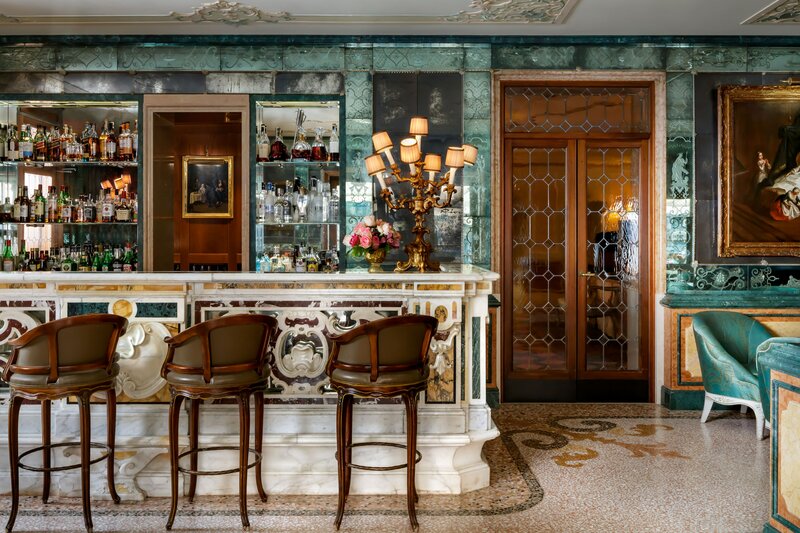 A historical treasure where heritage and culture blend with renewed Venetian style, The Gritti Palace is a refined version of its iconic self, offering attentive service, a delectable culinary experience and new avenues for relaxation and pleasure. 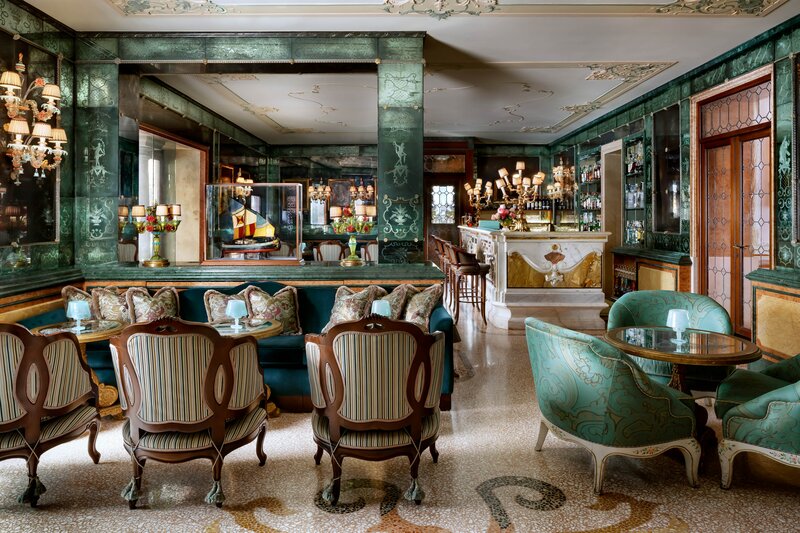 From the artistic design of its signature suites and iconic terraces to the Gritti Epicurean School, Riva Yacht experiences and Riva Lounge and the Gritti Spa branded by Sisely Paris, The Gritti Palace is where multiple generations of elite global influencers gather to explore, taste and celebrate. 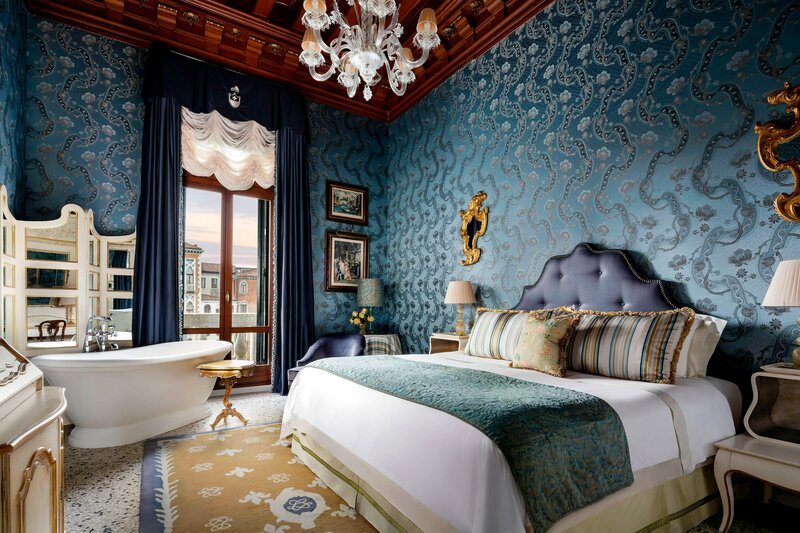 A 15th century palazzo, private residence to noble families and illustrious visitors, and luxury hotel since 1895, The Gritti Palace is where history and culture meet with renewed Venetian style. 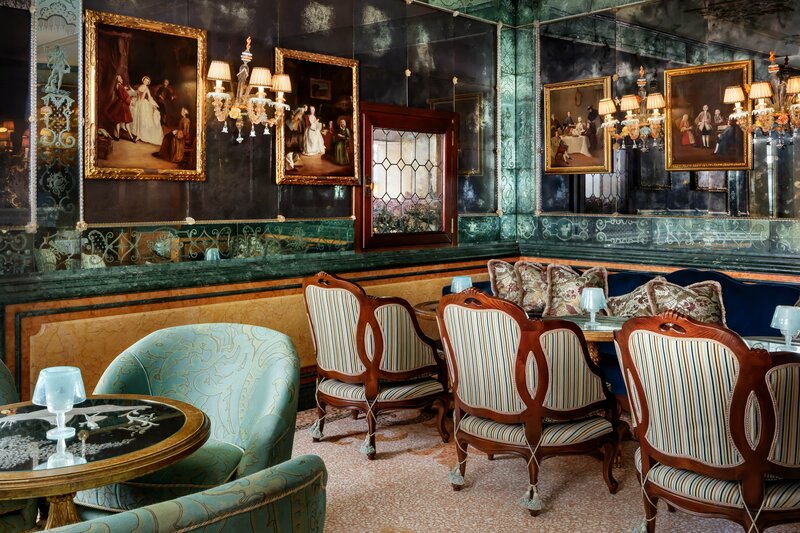 A place of exceptional art and elegance, reassuringly intimate with a homely feel, The Gritti Palace is where multiple generations of elite global influencers gather to socialize, draw inspiration, and celebrate. 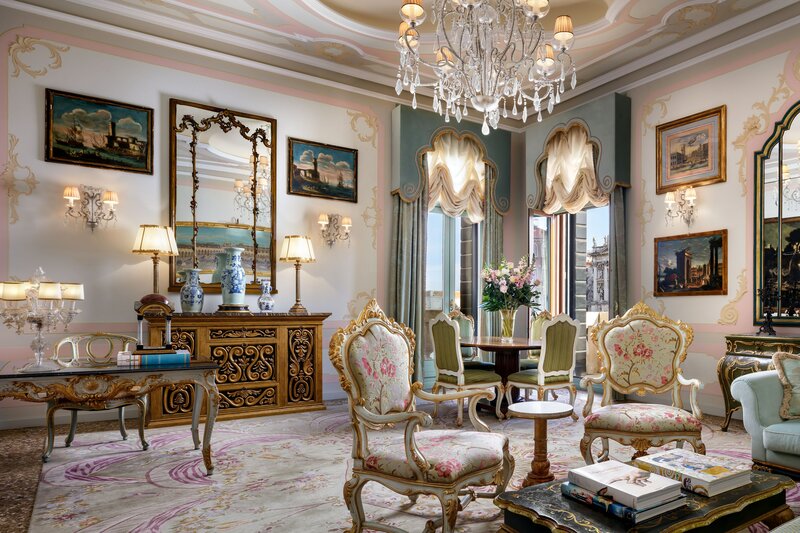 The epitome of luxury, the Gritti Signature Suite Collection showcases the hotel’s rich historical past. Redesigned with artistic elegance, the suites evoke the intimacy of a noble private residence and provide a truly distinctive experience that uniquely captures the heritage of the palace and the cultural and artistic roots of the city. Boasting the most desirable views of the lively Grand Canal, and the city&apos;s largest rooftop terrace, the suites are inspired by Ernest Hemingway, Somerset Maugham and John Ruskin amongst others. 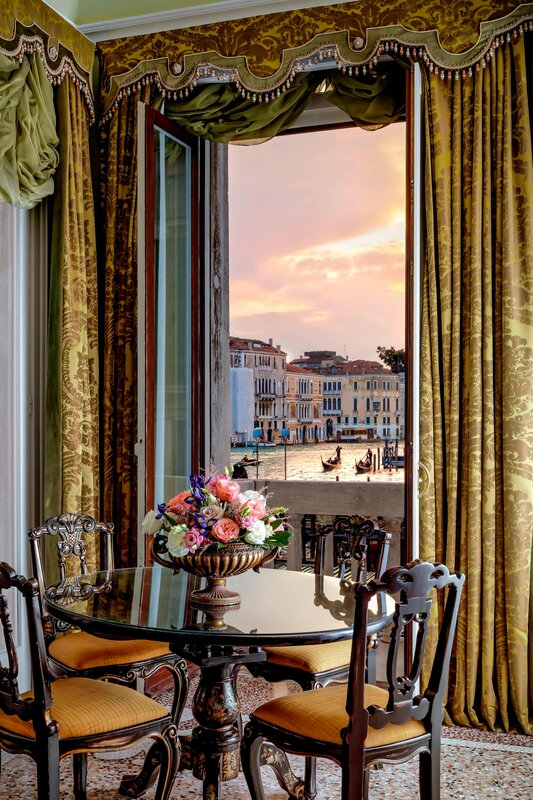 From the Signature Suites, to the Landmark Grand Canal Rooms, these richly furnished retreats are perfect for relaxation or romance, coming with views onto the Grand Canal or Campo Santa Maria del Giglio. 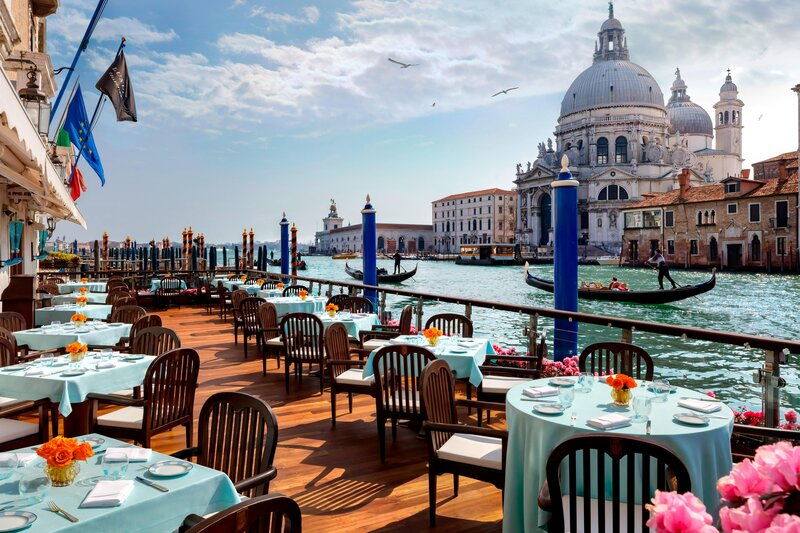 Exuding the aura of a sophisticated club from its corner position on the Grand Canal, Club del Doge Restaurant is a fresh tribute to the timeless wonders of Venetian cuisine, and the perfect backdrop for breakfast, lunch or dinner. 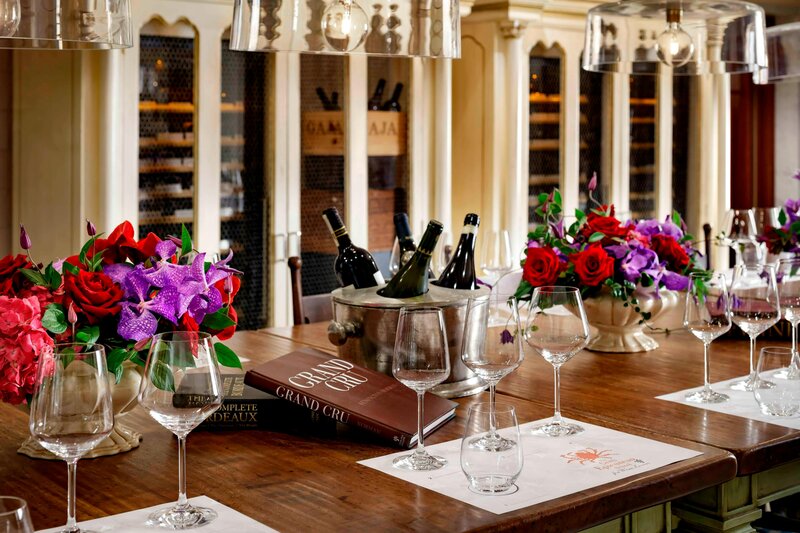 A Venetian open kitchen that since 1975 has hosted the social elite of Venice and international guests for wine tastings, culinary workshops and celebrations. 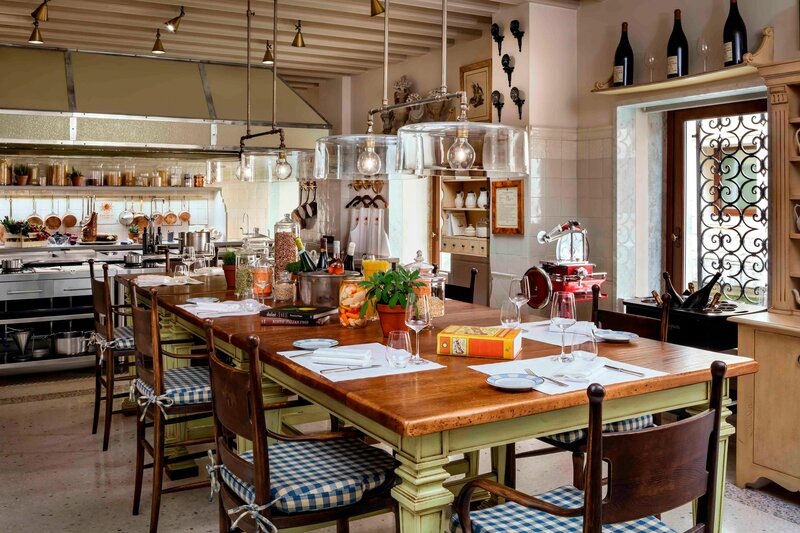 The reborn “Gritti Epicurean School” is a place to learn, taste and celebrate, featuring hands-on eno-gastronomic experiences along indigenous itineraries. 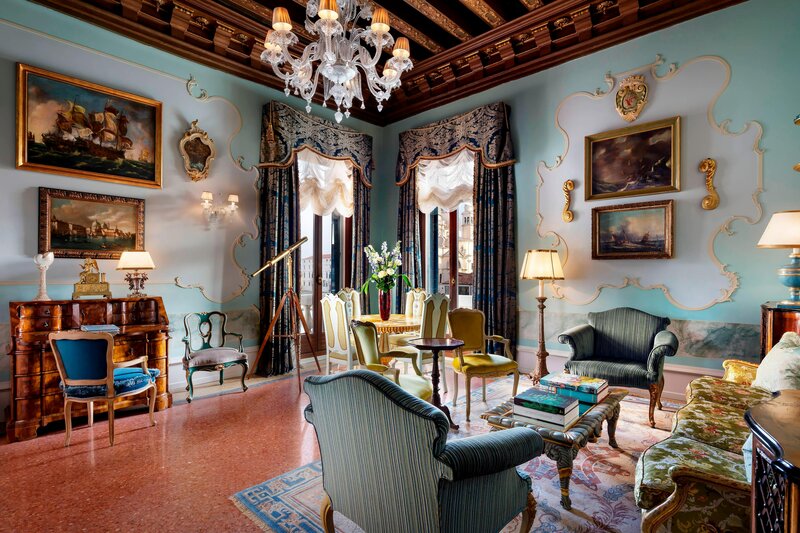 Exclusively for guests of The Gritti Palace, the ultimate way to experience the city and her lagoon. 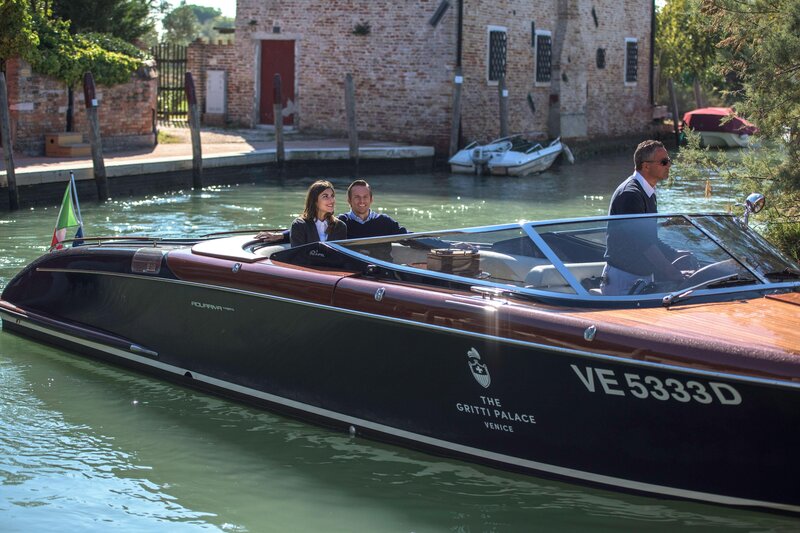 Our Riva Yacht Experience is a true expression of Italian artisan skill and a unique way to explore the archipelago and unfold hidden treasures of art, nature, and spirituality. 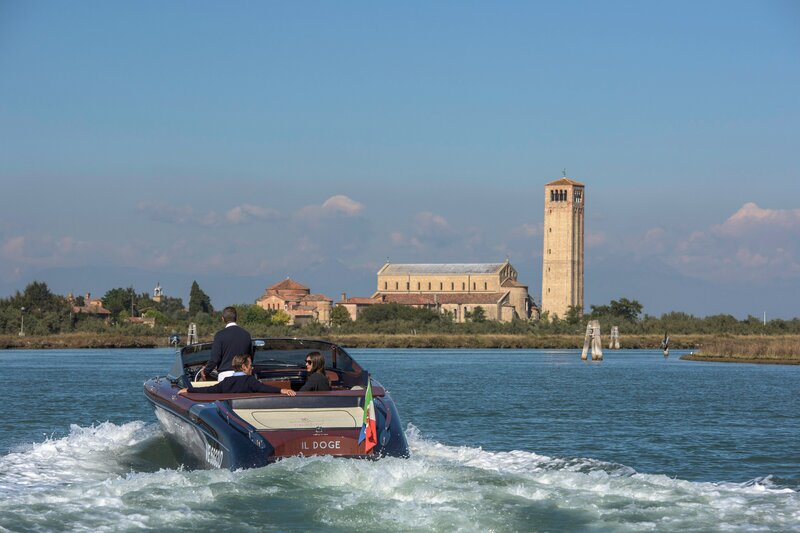 Get lost in the "city of love" aboard a gondola down the spectacular lagoons of Venice. 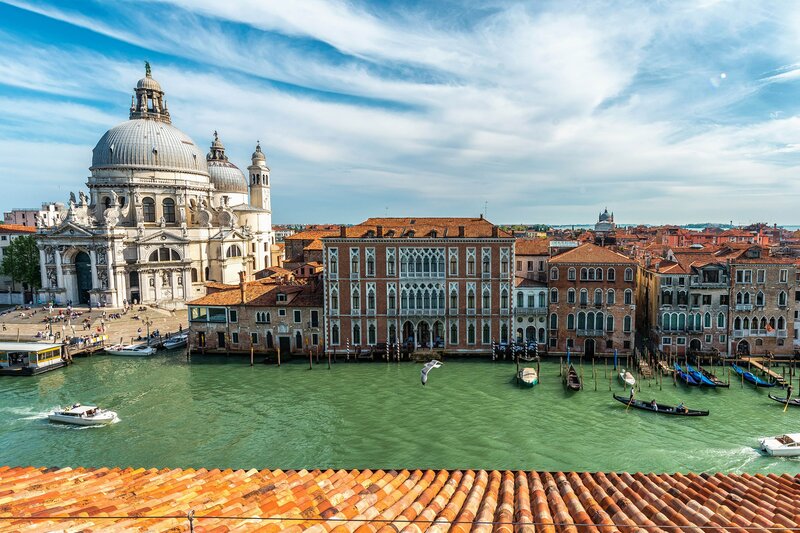 With great shopping set to Renaissance-era art and architecture, pictures do not do this locale justice, and you must experience the city of Venice yourself. 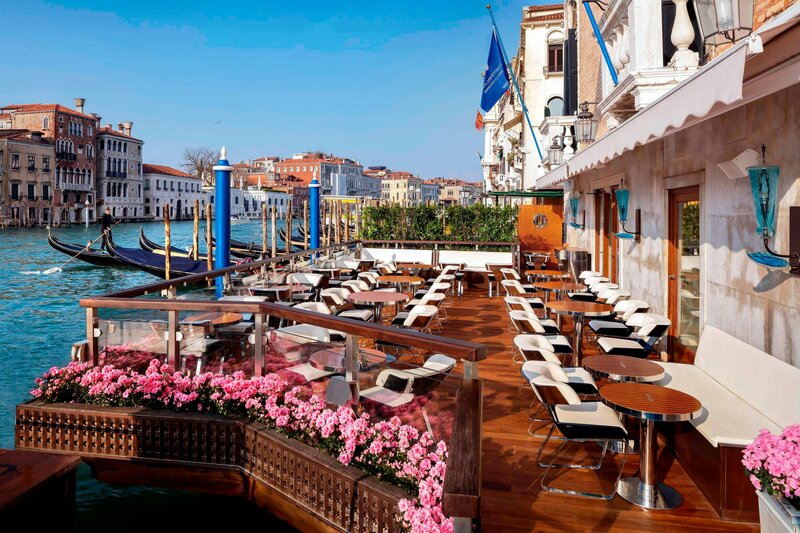 An outdoor terrace with stylish Riva elegance, the Riva Lounge overlooks the Grand Canal and is the quintessential outdoor setting for gathering from early evening until late and relaxing Dolce Vita-style with magnificent sunset views over Santa Maria della Salute Basilica. With its cosmopolitan atmosphere and gracious Venetian décor, Bar Longhi is a lively locale where locals and international guests mingle to enjoy a cocktail or glass of champagne. Indulge in a famed Venetian Spritz, said to be one of the best in town, or a Bellini, with sparkling wine and fresh peach juice. 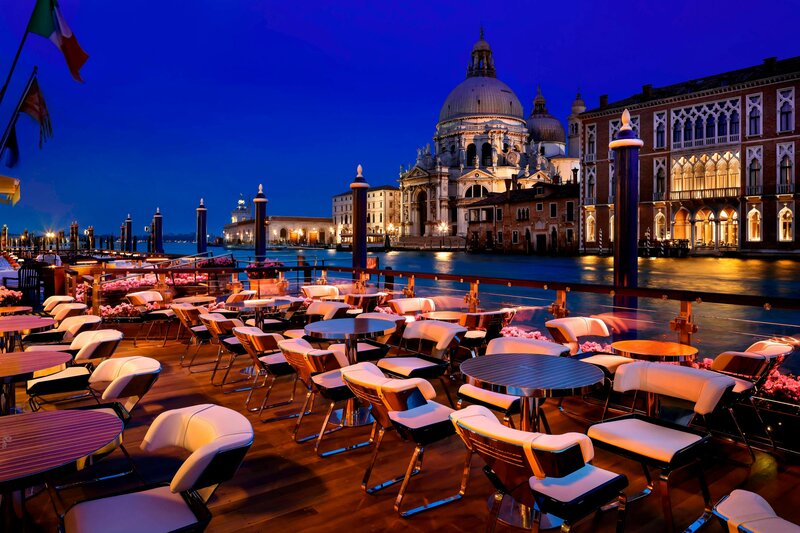 Another iconic cocktail is the Basilica, which makes a statement for the venue as the view of the bar and lounge are facing the Basilica of Santa Maria della Salute. 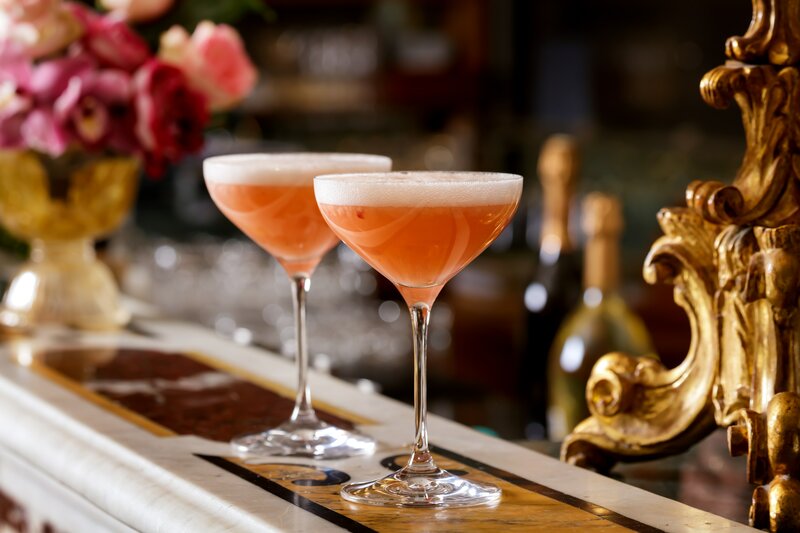 If you want to go for something more adventurous and inventive, let our barman prepare you a signature Riva cocktail. 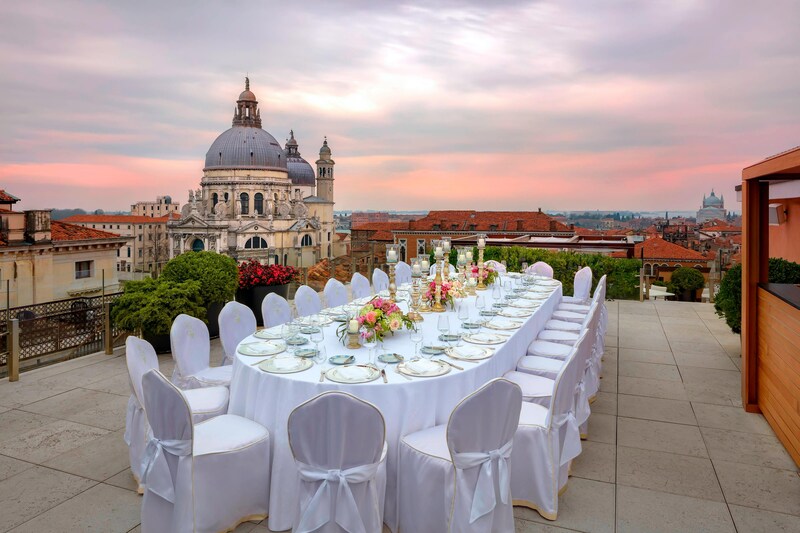 Perched high on the hotel’s roof, the spectacular 250-m² Redentore Suite Terrace is the perfect spot for private celebrations, cocktails, sit-down dinners or intimate parties. 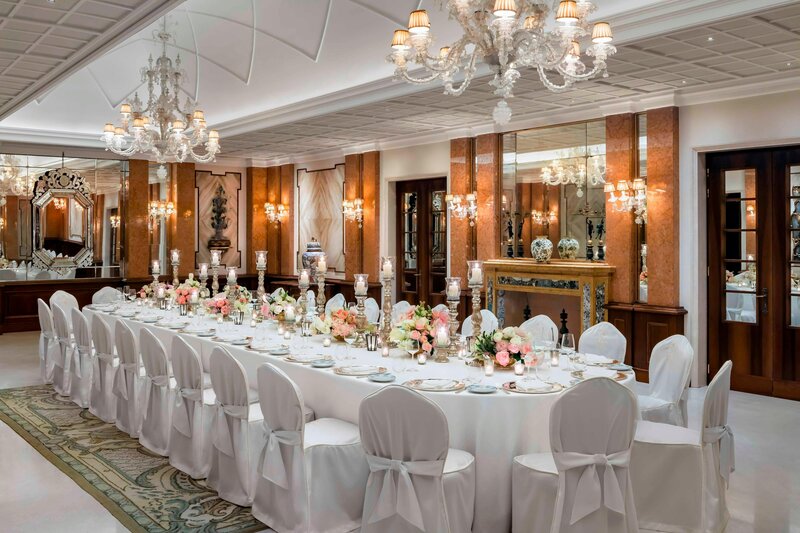 It&apos;s unequaled views of Venice and the Grand Canal make this versatile space a memorable venue for your occasion. Host your meeting or wedding in one of our unique event spaces, including Redentore Terrace, The Gritti Terrace and Salone Gritti.